I have a 2015 RTS which we bought new last year. I have been trying to connect my ipod through a lightning connector, has anybody had trouble with the factory connector not working? My Aux cord works fine with it but not the cord for the ipod. Seems like Can-Am would have the new lightning cords with them now but they don't. I was using my iPhone 6 but it kept locking up about an hour using it. I now use an iPod touch 2nd generation and it works great. You should be able to find an 8gb one on craigslist for about $30 to $35 Price range. Now my phone is freed up so I can stop and take pictures or use the phone. I found a fourth-generation iPod for $35 for friends RT and it works fantastic also. 4th Generation? Is that the one that's about the size of a Saltine Cracker? The 2nd and the 4th generation ipod touch is the same size. The only thing I see different is the power button. On the 2nd the power button is on the top right and on the 4th its on the top left. the only adapter that comes with the 2015 RT is a 30 pin Apple or the RCA plug, if you want to use a Lightning plug you will have to get a 30 pin to lightning adapter. Agree with all above. Fyi what i use is the apple 30to lightning adapter, it allows my phone 5 to do all ipod functions & gps can talk thru radio too. Helps to just tuck phone upright in frunk liner pocket. Most of time i just keep it on the ipod & it clips to the pocket too think is a shuffle not sure what gen.
Last edited by Bfromla; 05-28-2016 at 12:37 AM. You've got the same one as I do, except mine plays better music. I couldn't tell you where the power button is without looking. I never use it. It always stays on and connected to my Spyder, and sitting in my "official" BRP iPod pouch with the "Y" on it. I also keep an Apple "lightning-to-30-pin" adaptor in that pouch for times when I want to use the newer 7th generation iPod nano that's in my car. I've had nothing but grief from my ipod connector (2015 RTS) as well. They've replaced the dongle cable, but still does not work. I finally gave up and have it connected via bluetooth to my helmet. I've tried three various ipods, as well as my iphone 6 with the apple 30pin -> lightening adaptor. The screen just shows aux, and no ipod information. It's very disappointing, and if I had more energy to deal with their lack of dealing with this, it's probably something that a class action suit might get their (and the press) attention. Bob, I believe you just proved my point. You might just be right... I think my selection, is what caused the left front speaker to commit suicide. I wonder if you have a loose cable connection. 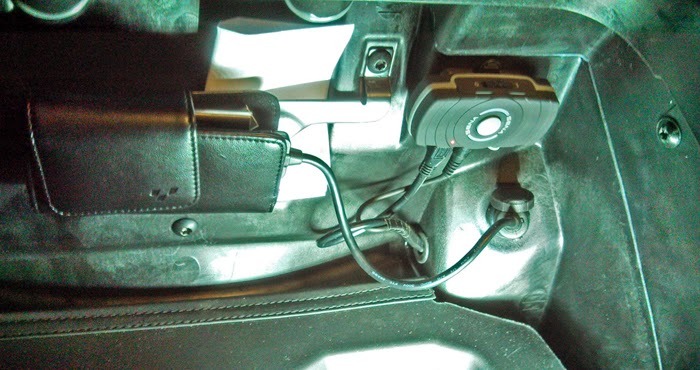 It might be worth a shot to remove the small black panel below the the passenger right-side hand grip, and push a bit on the cables connected to your radio. They should both snap into place with a definite click. Last edited by robmorg; 05-28-2016 at 12:38 PM. After doing a lot of research on this board. 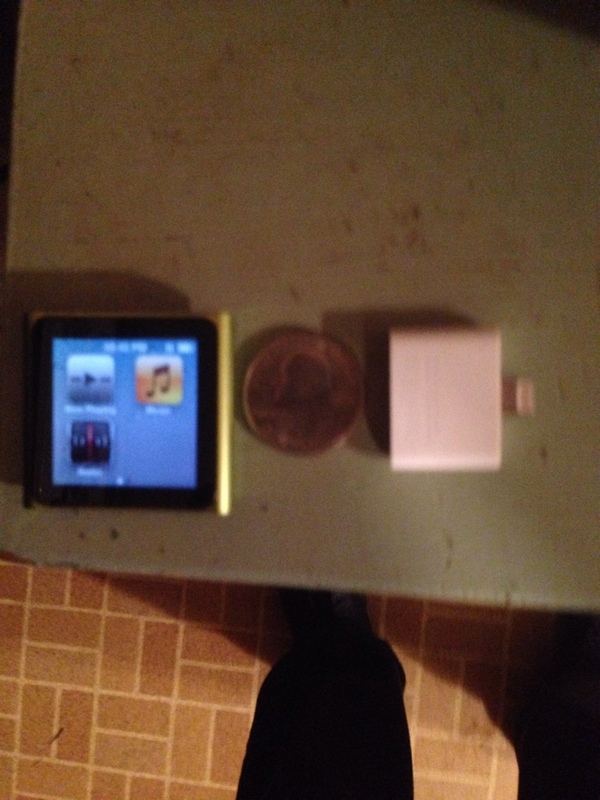 I felt confident to go with the iPod nano gen 7 from Amazon for $108 new and the apple brand 30 pin to lighntning adapter. Works flawlessly and have full control from handle bars. Using the apple brand from the Apple Store is a must. $29 I think. I used to have an Ipod in the back for music. I went the Bluetooth route Lamont spoke of awhile back and love it. 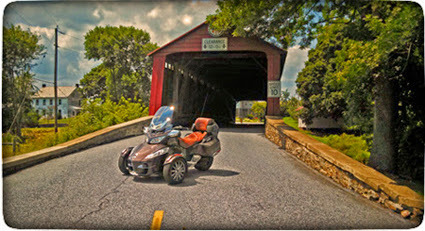 I don't really use my I tunes music much anymore on the Spyder or at home. I have an Amazon prime account, I run it through an app on my phone. With amazon music you have access to 1000's of songs and a bunch of different music stations. You can make your own playlists or use their playlists. It's not free, I think it's $99.00 a year now. You do get a lot of other stuff besides the music. For me it's seems a bargain compared to satellite radio. With amazon music you have access to 1000's of songs and a bunch of different music stations. You can make your own playlists or use their playlists. As long as you have a cell connection. You start wandering around on secondary roads in the west and plains states and you can easily find yourself with spotty cell service. You do need cell service or your home internet to download the music to your library, but you do not need cell service to listen to music on the road. We have the same spotty cellular service in Minnesota too. I set an iPod 7th gen myself. Works perfectly with my 30pin to lightning Apple cord. I also bought an off brand adaptor cord, bad news, it would only charge. Learned my lesson and now will only buy real Apple adapters and cords from now on. FYI the lightening connector is very susceptible to vibration causing the connection to break. When it does the radio won't reconnect and may switch to AUX. It is important when using the lightening adapter to make sure the phone and adapter is mounted in a way so they cannot move independently of each other thus causing vibration to cause a temporary disconnect. A class action lawsuit because your IPOD don't work right???? C'mon folks get real. I have an IPOD 3 and it works correct every time. Spyders are setup to work with the 30 pin hook-up. If you have something else try to find the proper connector. The 16s will work with a USB stick or an IPOD with the proper connector. Last edited by Cruzr Joe; 05-29-2016 at 10:19 PM. Thanks for all the information posted here. I've been pulling my hair out (not a lot left) trying to get my iPod Nano 7th Generation (A1446) to work on my RT Limited. My OLD Nano 3rd Gen with a 30 pin connector worked fine but was starting to have internal problems. I went to the Apple Store today and bought the OFFICIAL "Lightning to 30-pin Adapter", tried it and after some of the usual incantations and hand wringing, I got it to work. I'm going to velcro everything (CanAm cable, iPod, Lightning adapter to the rear case wall so nothing vibrates loose. Now I have "tunes" to ride by, all pumped through my Sena Bluetooth adapter to my helmet speakers. You'd think this should be a no-brainer, but "No!". All I know is my manual says the '16 F3L will only work with a 5th gen and newer. My 4th gen iPod I used on my '14 RTL no longer works.